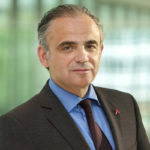 Luiz Loures joined UNAIDS in 1996 and was appointed Deputy Executive Director of Programme and Assistant Secretary-General of the United Nations in January 2013. He leads UNAIDS’ efforts in leveraging critical support to countries to reach the end of AIDS by 2030. Dr Loures is a medical doctor with nearly 30 years’ experience in the AIDS response. His engagement has ranged from providing medical care to people living with HIV in the early days of the epidemic––to his dynamic involvement in global policy framework development today. In 2006, Dr Loures was granted the Make a Difference Award for his long-standing contribution to the global response to AIDS by O Globo, one of Brazil’s largest newspapers.